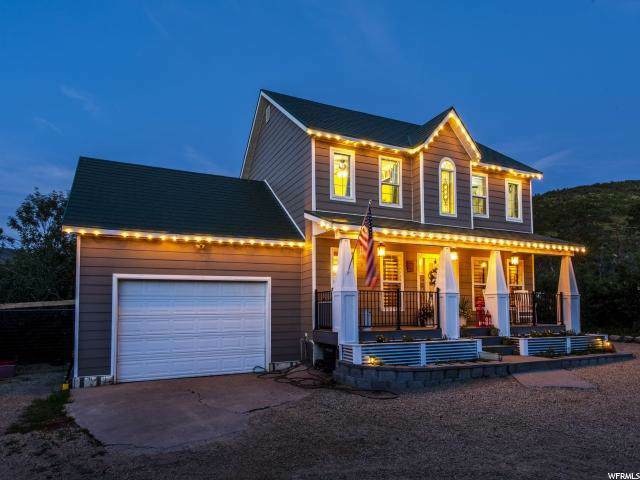 3 Acres within 7 minutes of Heber City, boarding 40+ acres of private property and offering year-round utilities & access; great weekend getaway or permanent home. Property located at the end of a quiet cul-de-sac that doesn't have any neighbors! Two lots-of-record (1211 & 1212) being sold all together (2 separate lots of record) - could be built on or or sold as a separate lot. Lots borders over 40+acres of H.O.A.Common Area called "Coyote Gulch" that offer single-track trails, & serenity that can't sufficiently be described/written up in an MLS report; stunning, quiet, breathable, private, heaven. New hot tub looks up the canyon; can't describe how serendipitous the experience is sitting in the hot tub, looking at the stars w/o false light, and starring up the canyon. 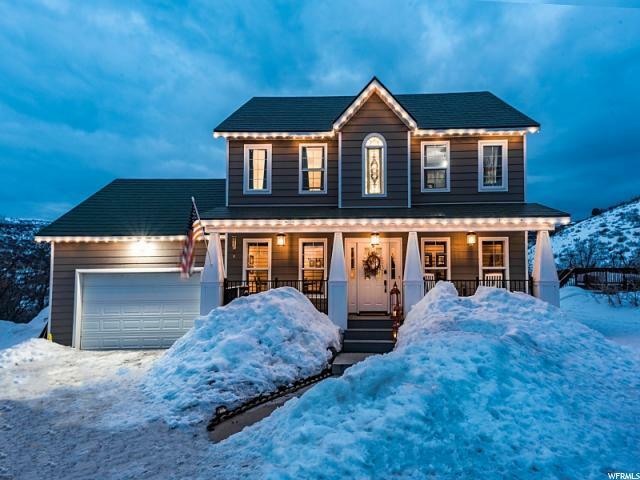 House has be COMPLETELY remodeled since 2016 including new granite countertops, new Alder cabinets, new Oil Rubbed Bronze hardware throughout house & copper accents, brand-new carpet & antibacterial carpet pad in March '19, brand new 3-tone paint as of 3/1/19, custom lighting ($4k+), 14'x16' Trex deck with killer views of the canyons to the south, iron railing, no-maintenance concrete fiberboard siding repainted in 2017, "lifetime roof", stainless steel LG appliances, gas fireplace, BRAND NEW high-capacity A/C, furnace & instant hot-water-heater 2018. Lot affords a custom INCREDIBLE sledding luge. House has BRAND new road-base driveway & parking area to accommodate 12+ cars (boats, RV's, or separate garage). Custom ATV/snowmobile trails, STUNNING teepee/yurt/tent "pad" cut into & retainted w/ incredible views. Horses allowed on short-term basis. "Viewing" deck/play deck made for the kiddos. Propane-based fireplace for romantic/peaceful nights by the firepit. New wood window casings, "craftsman" exterior/interior details, vinyl basement flooring with GREAT light, fans in every rooms. Such a special place, unmatched to any other in the valley. 30 min to Deer Valley, 15 minutes to Deer Creek resort for boating, 25 mint to Strawberry for boating/fishing/snowmobiling, 55 minutes to SLC airport, 50 min to SCL /PROVO. 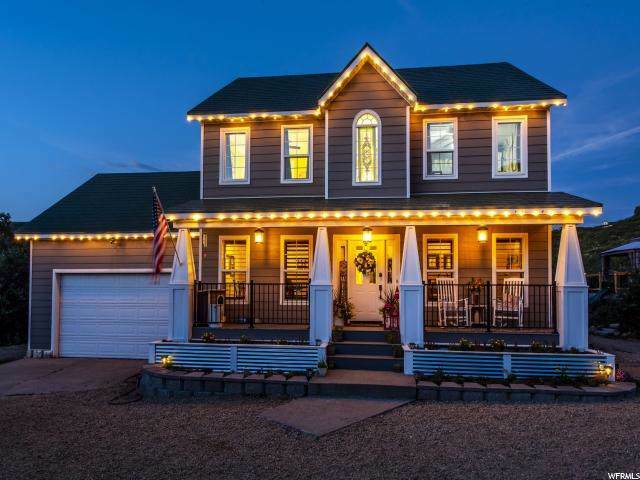 Trails within the gated community, access to the Uinta National Forest, wildlife, and mountain living within 10 minutes of town and affording all the amenities of a standard residential community. 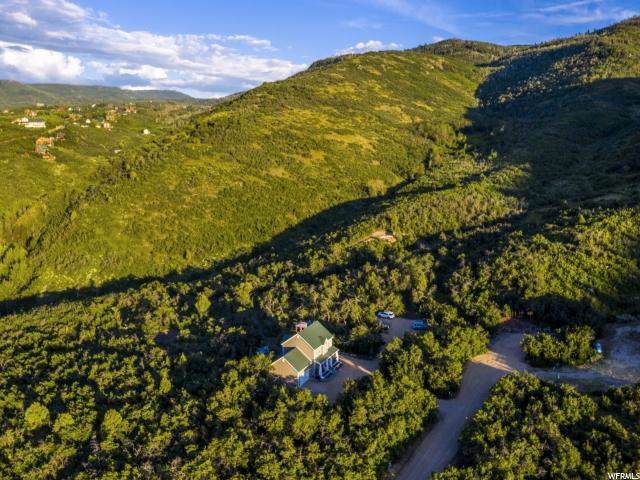 A once-in-a-lifetime to own 3 Acres within the Heber Valley under $1m. Some furnishings may be nego. OWNER IS REALTOR.